Oceanfront with covered patio & private hot tub. King master also overlooks the oceanfront. Whispering Waves is right in the heart of downtown, close to shopping and restaurants. 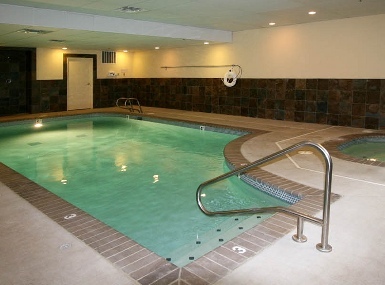 Condos have a pool and workout facility! Create a master piece in this fully stocked kitchen and stainless steel appliances / gas range and Spice Rack. Granite Kitchen & Bath Counters. Rock Fireplace in living room. 1 Short block to easy beach access! 3 Plasma TVs (42 inches, 37 inches and 26 inches), 3 DVDs, Washer/Dryer. Summer 2019 is a 3 night Minimum July & August (unless filling a gap) . Please avoid leaving "Single Night Gaps" June- Sept. & Spring Break. Memorial Day & Labor Day Weekends 3 nt. Minimum. "Nice place with great view." "The condo is in a great location. Comfy bed. Hot tub in good condition. One couch out of two was extremely uncomfortable. Minimal amenities- only hand soap and dish soap. Light bulbs out in 3 lamps. Heat at night is stifling, no fans to cool the place down and with thermostats turned down all the way. First level so uncomfortable to leave front windows open at night." "This was a great place, clean, comfortable, view was great! Hot tub was perfect! Could use an update on spices, a couple were empty or expired. Would definitely stay here again! " "We are happy with our stay and loved Whispering waves "
"Nice stay. Originally my parents were to join us but after arriving I’m glad they didn’t. The furniture was not accessible for older adults. I’m back to trying to locate another property to take my parents for a relaxing weekend. " "Great view, great place to stay"
"This is our second year going to Lincoln City in August. It is a great location. The condo was very relaxing. The kitchen was fantastic." Manager Response: Pleased that your stay at Whispering Waves was a good one! Hope to see you again soon! , long block down to the beach (stairs) You can also drive down onto the beach at that public access spot. Nice pool. Fitness room equipment below par-the two treadmills in disrepair. Enjoyed our 4 day stay!!" Manager Response: Glad you enjoyed your stay at Whispering Waves! Please visit again soon! "Perfect location and setup for our stay. Everything within walking distance, perfect size condo for the three of us and the weather was perfect. We all enjoyed a very relaxing time and plan on a return stay next year." Manager Response: So glad that you enjoyed Whispering Waves! Hope to see you again soon! "We had a marvelous time in this high-quality & beautifully appointed space. We never heard our neighbors, loved the wide-open view, private balcony & hot tub. Full kitchen with all the amenities. We will be back!" Manager Response: So pleased that your stay at Whispering Waves was a good one! Hope to see you again soon! "Great condo, amazing location. You can't go wrong with Whispering Waves. " Manager Response: Happy that you enjoyed Whispering Waves! Visit again soon! "Condo was very nice and welcoming. Appreciated being able to just sit out on the veranda and breath and ocean air. Was a little mislead on how close the beach access was. Master shower could use some serious cleaning and maybe new grout." Manager Response: So sorry that the dishwasher soap ran out. A quick call and we would have had a new box right over to your door. Thanks for leaving a few pods and there is back to plenty under the sink. Thanks for heads up. Come again soon! "No where was it clear that there was no beach access from the room, had to walk a couple blocks. Wasn’t that big of a deal breaker. Only half the jets in the hot tub worked.wash machine was extremely dirty! Hair, wet lint and stuff all inside the door and door seal. Dishwasher was hard to use and when started hardly washed the dishes, just stick to hand washing them I guess. Pulled out hide a bed and sit down to get poked by a peice of glass. Our contract said no kids or pets. It wasnt clear that was just our room, so we got lucky enough to have kids above us. We came here for our honeymoon and left our kids at home and rented a kid free space or so we thought to just relax. And the fridge needs a new filter red light was on our whole trip. Beds weren’t bad and the place at least had a clean feeling when you walked in, the red chairs are a cute little touch. " 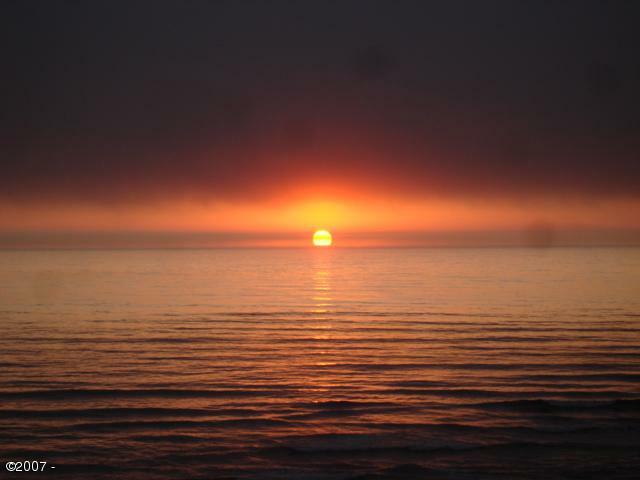 "We had a wonderful stay at Unit #3 of Whispering Waves condo's. The ocean view and breezes were great and it is a very short walk to beach or access by vehicle if not able to walk or climb stairs to or from beach. " Manager Response: Glad you enjoyed your time at Whispering Waves! Please visit again soon! "Very happy with the Condo, good sized bedrooms, our bed was Super comfy!!! Cracked open the windows and slept to the sound of crashing waves. Kitchen well appointed, very clean and large enough for the family! Bathrooms right in par with the rest of the condo, 1 shower, the other had a bath tub. Hot tub was good, not great, jets could be stronger and more plentiful, but we enjoyed it nonetheless. Location of the condo was the bottom floor, nice view, is on a cliff and you do need to walk to the next condo side to gain beach access. Only drawback I can think of. Met a lot of nice people here in Lincoln City, would come again in a heartbeat!" Manager Response: Glad you enjoyed your stay at Whispering Waves! Please come again soon! "Breathtaking views throughout the condo! Convenient location! All the amenities of home! We will definitely be back!" Manager Response: Glad you enjoyed your time at Whispering Waves! Please come again! 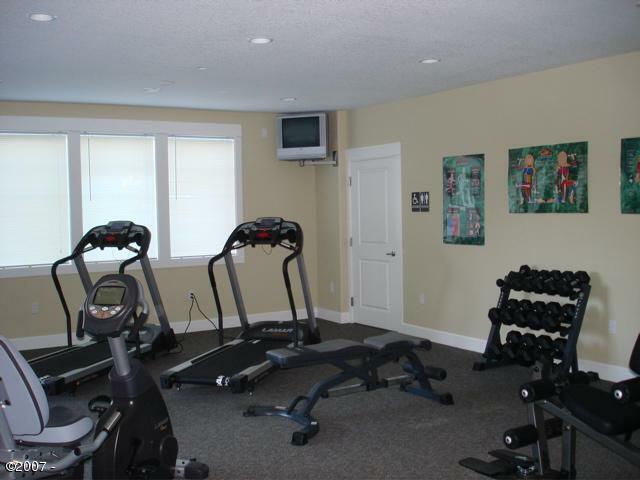 "Condo was in a great location, loved the ocean view and hot tub. The kitchen, baths and rooms were great. The only thing I would suggest is the bar stools and table chairs are falling apart at the seams. Everything is so nice and then you see that. We were okay with it, but owners might want to know. They might also need to know that the check out procedures on the refridgerator do not match directions on the clothes wash machine for linens. We did highly enjoy the condo, decor is nice and it was very cozy. LOVED the fireplace. Thank You!! " "Our stay was fabulous! The rental was clean, comfortable, and stocked with everything we needed. We were able to walk to restaurants, bakeries, and evening entertainment. Beach access was easy and sitting in the hot tub looking at the ocean was a real treat! I would highly recommend staying here!" Manager Response: So glad you enjoyed Whispering Waves! Please come again soon! "Rented this place for a mini get away. The property was clean; detailed information on what to do when leaving; how to use the remotes; etc. The beach was within ideal walking distance and it was a nice, cozy and accommodating rental. Would definitely rent again given the opportunity. " Manager Response: So glad you enjoyed your stay at Whispering Waves! Please visit again soon! "It was wonderful. Stormy, but cozy. Great unit!" Manager Response: Glad you enjoyed the storm and Whispering Waves! Come again soon! "Thank you! Beautiful place and perfect setting out on the grassy bluff for our wedding. " Manager Response: So glad that you enjoyed Whispering Waves! Come again soon! Congrats! 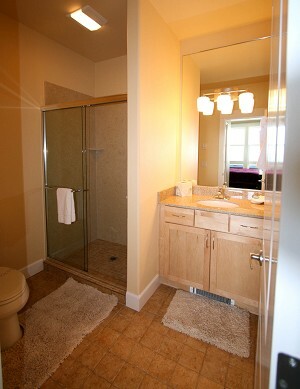 "Great ocean view rental in Lincoln City. Perfect for two couples or family of 4. Awesome to have 2 full bathrooms. Carpets in need of a cleaning, but over all condo was clean." "We've stayed at the Whispering Winds before and we knew what to expect. The condo fully lived up to our expectations. Unfortunately, we spent the week fighting serious chest colds and flulike symptoms so we weren't able to fully experience Lincoln. A few concerns: the dishwasher won't close properly and start up; two of the burners on the range wouldn't ignite; and the maser bedroom's TV remote wouldn't work. Usually we wouldn't use these but our illnesses necessitated them. Still we would return to the WW condo in a HEARTBEAT!" "Great condo, Great location. Enjoyed everything about our stay here." Manager Response: Glad you enjoyed Whispering Waves! Visit again soon! "Lots of nice space and lighting for doing what quilters do. " Manager Response: Thanks for staying! Visit again soon! "Ease of renting, privacy, beautiful view, great location. " Manager Response: Really glad you enjoyed Whispering Waves! Come visit again soon! "Condo is nice, but Master bed is lumpy and second bedroom needs blackout curtains. Otherwise very comfortable. " "Very nice and romantic..steps from and great view of ocean.Nicely decorated and can't beat the rate.Very close to town.Walk to beach!" "My kids and I had a great time hanging out and spending the last couple days of spring break in this unit. It was very cozy and and welcoming and had just enough space for the 5 of us to kick back together. The kids loved that there was an indoor pool on the property and the view was great too. I will definitely be keeping this place on my list of places big enough to fit our family. We will be back! " "We had a wonderful time on the coast. The condo was very nice. It had a strange smell when we got there, like someone had cooked something that had a strong odor, so we just left windows open while we were there the first day and it got better"
"We had a wonderful stay at whispering waves. Place was very clean and the view was great. It was easy to find and close to downtown. Easy beach access. Would definitely recommend this unit to others. Will stay here again. " "Very friendly and accommodating staff. Condo was great. Only thing that could make it better would be to create a path from the hilltop down to the beach to eliminate the commute to beach access. " Manager Response: Please visit again soon! 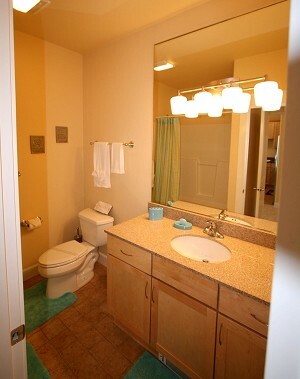 "This is my second time renting this condo and it was great! The hot tub is amazing and you can see the ocean for miles from it! This condo is great for girls getaways and is very spacious! " "Overall good experience. Excellent location, beautiful views right above the beach with beach access at end of the block. Condo is easy walking distance to all kinds of shops and restaurants so we were able to park the car and leave it for our whole stay without having to drive and search for parking - a huge plus! Condo was clean, comfortable beds, only complaint is that we couldn't get WiFi to work but we took that as sign to stay off the internet and just enjoy being there." "Whispering Waves was absolutely perfect! My friend and I always plan a 4-5 day summer getaway with my two now teenage boys and her teenage son. This condominium had everything we needed. I think the biggest convenience was the washer and dryer. I had never used a Stackable and was surprised they took full loads. It was so nice to sit in the hot tub and watch and listen to the waves rolling in. It took us a couple of days to realize there was a gate from the deck to the grass area. :-) The stroll to the beach access was very convenient. We loved building a fire on the beach in the evening. There is no barbecue so if you are planning on grilling you will need to bring your own. There is a George Foreman grill for indoor use along with a lot of other handy kitchen items. Would definitely recommend Whispering Waves for a relaxing beach stay or family fun. Manager Response: Thanks for your wonderful review! So glad that you had a great time! Please come back again soon! "Great week in our beautiful condo! Love the location and ease of access to the beach. We initially had issues connecting to our WiFi, but the property management group was quick to respond and helped us connect to a neighboring unit. Can't wait to come back to Lincoln City!" "We loved our stay at Whispering Waves! It was the perfect vacation spot, with ocean views, hot tub, swimming pool for the kids, and a short walk to the beach. The condo itself was in great condition and made our stay very comfortable. My only regret is that we didn't stay longer! It would have been nice to have an extra set of towels for the pool/hot tub, but other than that, we didn't have any complaints. We look forward to returning to Whispering Waves in the future!" "From the time we walked in we were making plans to return. From the panoramic views to the hot tub. This place is a must!" Manager Response: So glad you enjoyed your stay! Hope you return soon! "Our stay was excellent. I read previous reviews about uncomfortable beds and broken recliners, but that was not the case for us. The place was spotless and all amenities were pristine. I am guessing the recliner has been replaced with a new large couch, which was perfect for additional sleeping/sitting arrangements. Our kids opted to sleep on the two couches rather than fold out the couch. The spa overlooks the ocean and falling asleep listing to the crashing waves was blissful. Beach access was two blocks up a very friendly neighborhood and we were able to walk directly into the heart of downtown and eat and shop at some great local places (I highly recommend Deli 101 just up the street). We accidentally left our Bose Bluetooth stereo and Karen (owner of A-1) offered to bring it all the way back to Portland for us! Incredible! We will definitely be back. " Manager Response: Thank you so much for your kind response! We are so glad you enjoyed your vacation and hope you visit again soon! "Our unit was clean and well equipped. 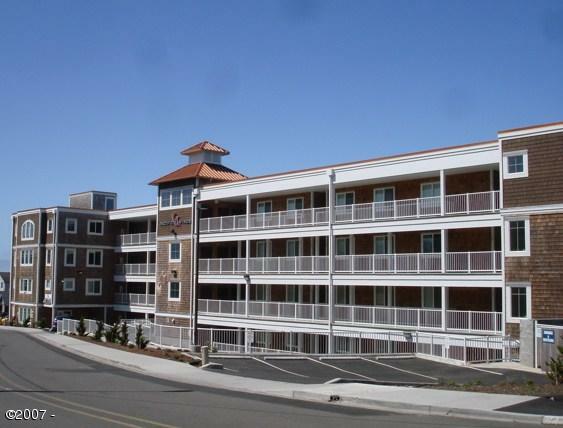 Excellent location and will rent again on our next trip to Lincoln City." "The views from this beautiful condo are amazing. Great location between the casino to the north and great places to eat to the south. Condo was clean and comfortable and well stocked. We'll be back!!!!!!!!!!" ALL of the amenities. We stayed 5 nights and could not be happier with our choice. "We had a wonderful time. The ocean view was amazing. Condo was very comfortable." "Very neat and clean. Great location. Hot tub was perfect. Even played a few games that were there. " "It was most perfect get away, condo had everything you can emagine and staff is super nice. Big ??? ?up for Hallen for being super nice and awesome. " "The condo was perfect! The accommodations were clean and beautiful. The view cannot be beat. This Is our second time staying at this property and we were not disappointed. We are already planning our next stay. " Manager Response: Glad you enjoyed your time at Whispering Waves! Please come again soon! "Simply an awesome place to stay for every reason. Only thing I would suggest is putting a room darkening window shade in the bedroom on the street side. Room stayed too light at night with building lights on all night for my liking. Other than that, perfect place to stay." "Had a nice time staying at the house. No complaints. The only improvement I would suggest would be to up grade the pots and pans for cooking. " "Wonderful stay!!!! Not a thing bad to say. Our new go to place in Lincoln City"
Manager Response: Glad you enjoyed Whispering Waves! Please visit again soon! "Loved this had everything we wanted and was very comfortable...beds, furniture and the layout of the place. The only thing that would have made it better was a little warmer temperature in the hot tub ( it was more like a warm bath) but it did have an ocean view! Overall I give it two thumbs up!" "My family and i enjoyed our stay very much, the unit was great with a beautiful view, i personally enjoyed the hot tub!, the only thing it didnt have was a grill which would be nice to have especially if we come back during summer for bbqs...but other than that i would definitley come back and stay there again! mahalo ????" "Great view, nice condo. A tad spendy without access to the pool which we didn't have for 4 of the 6 days we were there. The Condo had some burnt out lights, no big deal really. The Hot tub smelled of mildew so that was out also. That said, the beds were comfortable and overall it was pretty clean." "Our vacation was perfect. We even stayed an extra night. " Manager Response: So glad you enjoyed your time at Whispering Waves! Please come again! "The condo was perfect for our retreat! All the amenities that we wanted (and more that we didn't use!) and the location is outstanding. We look forward to returning soon." "Our stay here was good. My parents are 91 and 92 and it was comfortable enough. The quasi Lazy boy was unfortunately broken so my dad found it hard sitting there without being able to put his legs up. That needs to be fixed. I found that one sofa bed was unusable and the other was ok not great. I slept on the couch. The beds in both bedrooms were extremely comfortable which was a plus. I would suggest that the Lazy Boy chair be replaced with a usable one. The kitchen is nicely stocked and the appliances were up to date and great to use. As handicapped access it was great, the suggestion I would make is to put handles in the master bath and bath mats to prevent slipping. In general we had a great visit and would happily use this rental again." "The Whispering Waves condo was lovely. The location could not have been more perfect - on a little cliff overlooking the ocean with beach access a block down the street. " "Was as expected. But either the fireplace doesnt work or I wasn't smart enough to figure out how to turn it on"
"We loved the condo and want to stay there again! You can see the ocean even lying in bed - watching the sunrise is great. Close to the Ocean but safe on the cliff. Nearby are two beach accesses. We loved the groundfloor as we could step out to the edge of the cliff right from the condo. Good kitchen, washer and dryer, good fridge! Only one downside: the WIFI wasn't very fast and the quality changed a lot. Great: When we arrived Sunday evening the housekeeper came to fix the problem after some minutes: on a Sunday evening! Perfect location to explore the Oregon Coast from Astoria to Florence, we stayed 12 days and that wasn't enough time to see all. We came for Storm Watching and Agate Hunting in February - after the first day with rainy storm we had warm and sunny weather like in spring or seven summer! Karin and Rolf from Germany"
"This lovely little condo was just the escape my husband and I were needing. The view was amazing, and looking at the stars from the warmth of the hot tub was incredible on a cold November evening. I would recommend that the owners replace the recliner in the living room, and the bed in the master bedroom due to the recliner being very broken and the King sized bed just being worn out from having so many happy people staying on it :) We also ran out of hot water after 3 mins in the shower. That being said, we plan on returning to this little jewel as often as we can. Absolute treasure :) You cannot get a better view!!" "The condo was nice and had all the amenities you would need. The view was perfect and we lucked out and had great weather. We did not, however, spend much time in the hot tub as it was way too hot. It was at 105 degrees and even putting cold water in it didn't help. We also did not find the electric BBQ that was supposed to be in the unit. Except for those 2 concerns I would highly recommend staying there." "Our rental was more than we expected. The place was absolutely lovely!! Very well furnished and everything was working well. No problems with noisy neighbors or anything disturbing. Great stay!!" "We were extremely happy with our stay. The view was great. The condo was completely furnished with everything a person could need." "What a nice place to stay. We were very happy. Hope to return very soon." "the condo was perfectly set up. Bedrooms on opposite side of each other with our own bathrooms. It was very clean and homey. the TV in the bedrooms were not working. They did get the one TV fixed but not the other one (cable company problems). Wasn't a big deal because we didn't come to watch tv. Also they were doing construction on the building and they started right at 8 am Sawing and hammering right outside our door. loved the location and would recommend staying there. It was great. Next time we come we would stay higher up in the building as we were ground level and the view would be way better in a higher unit. Underground parking was awesome too." "We rented this apartment for my sons birthday and it was perfect. The kids enjoyed the activity room, pool, hot tub, and easy beach access. Great ocean view! Would be great for two couples." "We had such a good stay! My boyfriend and I went with my brother and his girlfriend and we didn't have one complaint. We loved the hot tub, at night we would just go out there and relax and enjoy the view. We actually saw some whales when we were in the hot tub it was really cool! But overall I had a great time and it was really clean and nice! I will defiantly be coming back!!" "Pacific Windows condo is a very convenient location - about 5 minutes past the Chinook Winds Casino, but before the Lincoln City Outlets. Undeniably amazing views from this unit. Unit was also pretty spacious especially in the kitchen area. The couches & beds were comfortable. It was also pretty quiet. Only heard upstairs guest in the early AM walking around. The parking was probably one of the only downsides-not many spaces available so you end up doing street parking. We were still able to park somewhat near. The temperature of the hot tub was also too hot (105 degrees). It took a while to bring the temperature down to a more comfortable level. Overall - we really liked it & will plan our weekend getaways for Lincoln City...HERE!" "Woman shouldn't spray perfume on the pillows with that being said , nice place clean and nice pool and activity room. " "My boyfriend and I had an amazing time. The house was clean and welll maintained. The hot tub was great before and after a day of adventures. The house was walking distance to various places. I would recommend this place for its convenience and overall a place to relax. " "Very nice. Clean and exactly as presented on line." "We had a wonderful time staying at Whispering Waves. It was worth the money we spent. The apartment was fully equipped and was very clean. The hot tub was also very nice. I would definitely stay if we ever visit Lincoln City, OR." "Wonderful condo with a fantastic view. We stayed here for the weekend and had a great time. We were even able to see whales from the patio. The condo was spotless. Lots of amenities including wifi and a hot tub. The bedrooms were very comfortable and easily accommodated two couples. We didn't use the kitchen, but there were lots of dishes and utensils that were available. The condo is in a great location. Easy access to walk down to the beach. Easy driving distance to lots of restaurants, shopping, and even the casino. I would definitely stay here again." "Everything was excellent so clean and beautiful and made us feel like we were at home. Our kids felt right at home and the view was amazing!! Cant wait for our next visit. " "Home was wonderfully suited for 2 couples. Each with their own bath and private from each other. Clean and quiet inside, with the constant sounds of the sea out your back door. Amazing view. Steep steps to the sea close by. An easy walk to shops and restaurants.Enjoy." "The condo was perfect for our needs. Thank you Karen!" "This is a very nice condo that work great for our friends 60th birthday. The only problem was that the cleaning lady unlocked the door and walked in twice while we were there the three days. She said she wasn't sure if it was cleaned or not - it definitely had been." "This company is a pleasure to work with. They are prompt, efficient and professional. Would not hesitate to recommend them to anyone looking for a rental." "Me and my wife spent 4 days here. We had a great time. The view was fantastic and we really enjoyed sitting in the hot tub listening to the crashing waves. We choose this place in part because it has a king size bed, which are not very common in rentals. The bed was super comfortable although the pillows were a little flat. " "The room was clean and very luxurious...hot tub and view were wonderful." "Comfy, clean, accessible home away from home with great view! Fireplace and hot-tub wonderful benefits!"